Whether they were eaten or taken home, it looks like there are no leftover desserts from the Parent Night and we’ll have to do without at the Band Parent Meeting. It was a most enjoyable way to wrap up the season, with all the kids and their families having such a good time and the variety of sweets was fantastic (although I am kind of curious as to who eats broccoli for dessert – no doubt someone who has better abs than me). Be sure to head over to the Mac Band (Members Only) Facebook Page and check out what’s new. 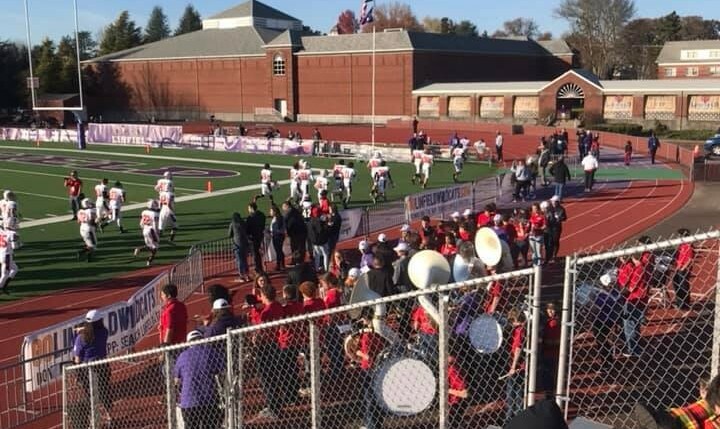 Jamie posted photos and videos of the band at the Linfield game on Saturday and Jes shared the University of Oregon video from the Festival of Bands. 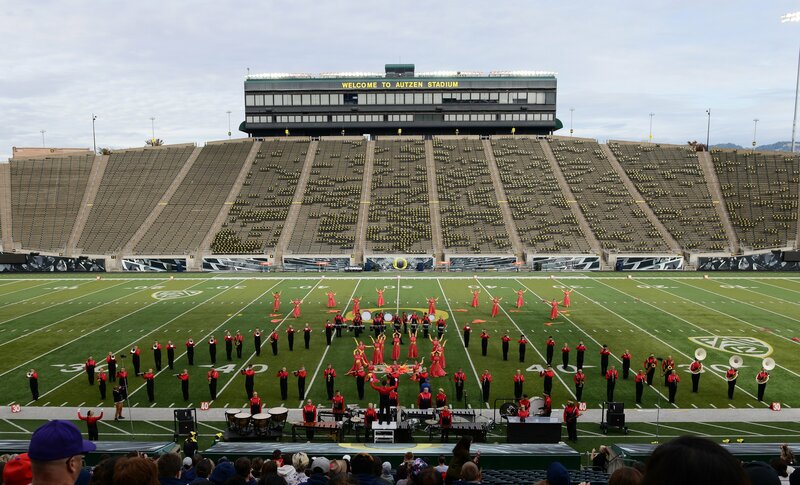 If you missed getting a copy of the picture of the Marching Band at Autzen Stadium, you can drop by Staples and they will be happy to print one for you (for a fee of course). You can even choose whatever size you like. Just let them know you want the Mac Band picture. There will also be hard copies of the photos for viewing and order forms to fill out at the Parent Night tomorrow for those who prefer the paper version. League Jazz Festival – Wednesday, November 14th from 9:00 a.m. to 3:00 p.m. @ Newberg High School. Since McMinnville is in the Pacific Conference League this year, there are new events for the bands and choirs to take part in. Unfortunately, I don’t have much information about this other than the Jazz Band will be participating. Check with your student for any updates from Mr. Barton. Music Boosters / Jazz Night Meeting – Wednesday, November 14th @ 5:30 p.m. in the Freshman Den. If you’re interested in helping with this year’s Jazz Night, please join us.